These labels are ADORABLE! They have the cutest chic dog theme! 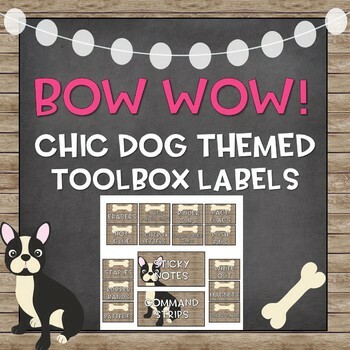 There are many labels included in this pack as well as a PowerPoint file to be able to add your own! Plus EDITABLE slides to create your own!